Hey guys, how's your week going so dar? 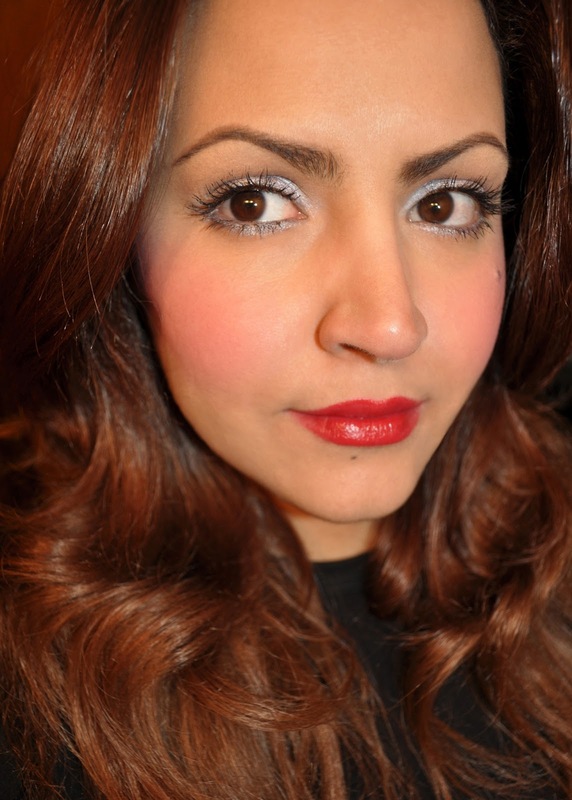 This is the look I wore yesterday, for swatches of the products, please click here. The peachy-beige shade in the hollows of the cheeks and blended upward. The neon hot pink on the apples of the cheeks. The lavender-blue shade applied over the neon hot pink. Les Merveilleuses Laduree Creamy Eye Color 05 (all over the lid). Les Merveilleuses Laduree Mini Face Color Trio 103 (the peachy-beige shade in the crease and inner corner). Les Merveilleuses Laduree Pencil Eyeliner 101 (on the upper and lower lashline and waterline). 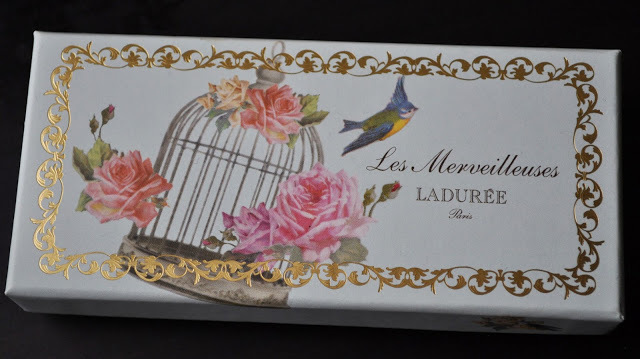 Les Merveilleuses Laduree Lip Lacquer in 01. After using Laduree's Creamy Eye Color for a while now, I have to say that the product didn't perform as I had hoped. If you have any dry flare ups on your lids, stay away from this product! It goes on patchy, has a mind of it's own, and only performs well when it wants to...GRRRR! Shame, I love the color, and when it works, it's really lovely, but once it's gone, I won't repurchase. Wow!!! You look so gorgeous! Love your makeup and it really looks great on you. I super like your eye makeup and lippie..oh I guess I really like everything that you have used. Why thank you Ms.Sue ;) I love the 01 lip lacquer! Thank you Oli <333 Don't forget, if you want anything, let me know before the 22nd. Perhaps Laduree should spend more on product perfection than on the packaging? Their line is waaaay too expensive for one to excuse low grade products. Thanks to your swatches, I ordered the Addiction Mudd Club, Tuxedo and Sugar Rusk palettes btw:) Which ones did you end up getting? The creamy eye color's are such a temperamental product with a mind of its own! Shame because I really love the color, and whenever I get it to work, it's beautiful. Agreed in regards to the perfection of product over packaging. Laduree beauty is not for the faint of heart or pocket book, so, I except more from the line. I wish yo'd let me get these items for you. I hate the idea of you paying such exorbitant prices online. I got Soda Lunch, Mudd Club(of course), Sugar Rusk, and, I was going to get Tuxedo Moonh, and I hate myself for writing this, but I caved in to the "limited edition" sticker shock, and got Black or White. Yes Buggsie, I picked up my least favorite palette just because I can't stand the idea of not having it...help me! Why do we go into the frenzy once we see/hear those two damning words "LIMITED EDITION". The idea of something not being readily available gives me makeup anxiety. Have you received your palettes yet? educative and entertaining, and let me tell you, you've hit the nail on the head. The issue is something too few men and women are speaking intelligently about. I am very happy that I found this during my hunt for something relating to this.